Since most of my designs are cardigans, I thought it might be nice to share one of my favorite buttonhole techniques. I’ve been told by some knitters and tech editors that it that is not used too often. Or maybe it’s just one of those secret knitting techniques people just don’t talk about. Either way, it is too nice of a buttonhole to have it languish in the cold, dark, overlooked world of good finishing techniques. Enjoy! 1. 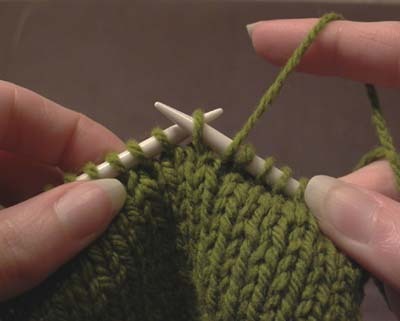 Work to the point of your first buttonhole and with your yarn in front, slip 1 stitch purlwise. 2. Move yarn to back. 3. Slip 1 st purlwise from the left needle to the right needle. 4. Pass the 2nd st on the right needle over the first st as if to bind off. 5. Repeat slip 1, bind off 1 for as many stitches needed to fit your button, I am binding off 4 total. 6. 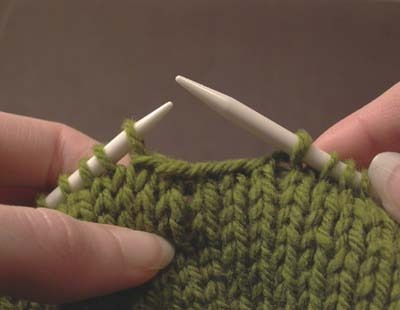 Slip the last stitch from the right needle back to the left needle. 8. Using the cable cast on, begin casting on for the top of the buttonhole. 8a. 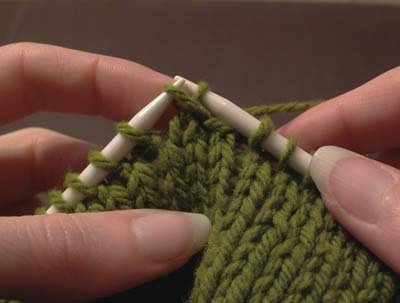 To work cable cast on, put right needle between first and second stitch on left needle. 8c. 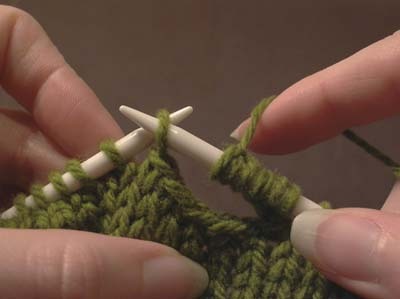 Pull yarn through between 2 stitches. 8d. 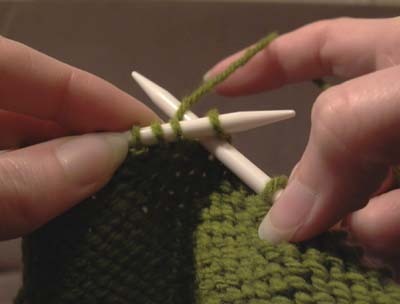 Place new stitch on left needle. 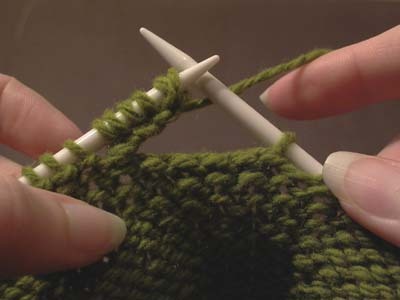 Be sure not to pull too tight when making new stitches! 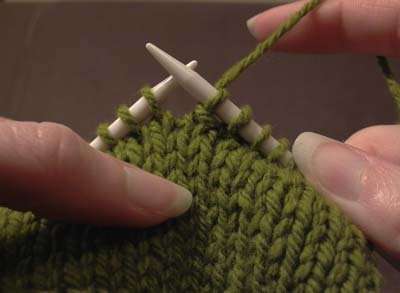 You want the tension to be close as possible to your bind off edge on the bottom. 9. Cast on one more stitch than you bound off. In my case, I’m casting on 5 sts (4+1). 10. 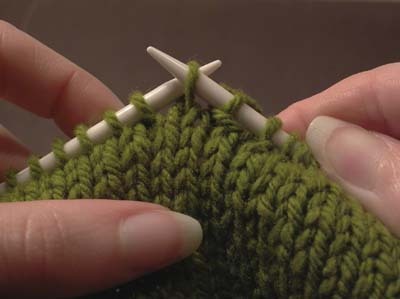 Turn the work, slip the first stitch on the left needle over to the right needle. 11. 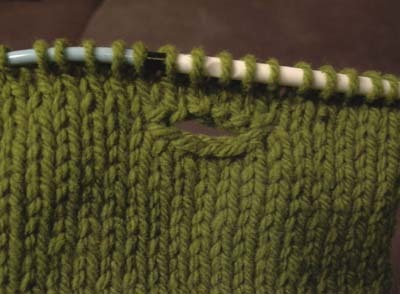 Pass the extra stitch from the cast on over the stitch just slipped to the right needle to close the buttonhole. 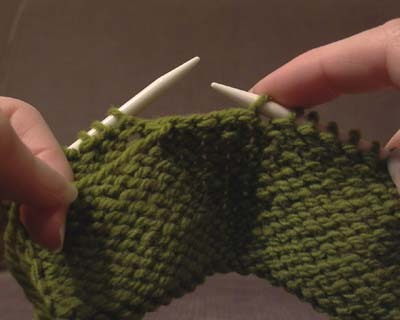 Work in rib, stockinette or pattern until you get to your next buttonhole and repeat. I love this buttonhole technique and use it whenever buttons are required! Great tutorial! Great tutorial – I’ve been meaning to do one for this for ages, so thank you for doing it for me! Thank you so much. I’m curious why it isn’t used that much. Now, I’m wondering how I can mark this to refer back whenever I need it or whenever I want to point someone to it. OK, now I feel weird. This is the only buttonhole technique I know! Oh Wow; what a great idea to turn and go back. Plus your pictures are perfect. Big help too as I am just about to the buttonhole stage of my black cardigan. Thanks! Thanks for the tutorial! Also, your ZickZack Tunic from the Spring IK is on the Knitting Daily Gallery email thingy. It seriously looks good on each model! Congrats on another beautiful design! 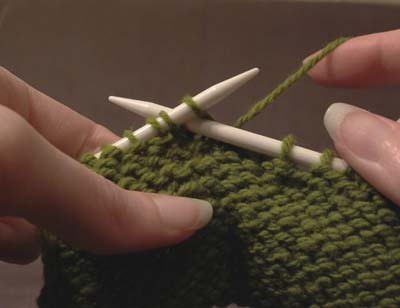 That’s a great tutorial for the one-row buttonhole! And I totally agree, it’s the best buttonhole technique I know! 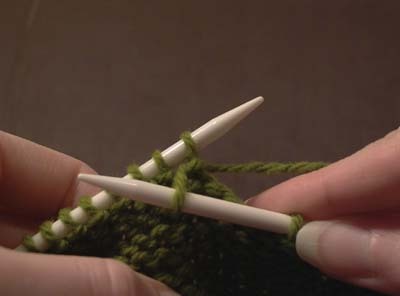 This is a wonderful modification of the buttonhole technique I often use; for mine I cast on those top stitches when knitting back across the next row. But yours is nicely streamlined and one I will definitely try in future. Hope your wrists are better! I just got cortisone shots (ouch) in two fingers that were triggering badly from all the knitting and computer typing. Thank you a million times, thank you!!! 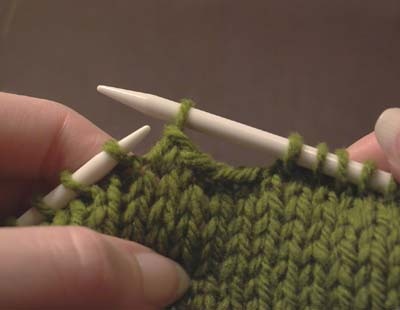 I am new to knitting, and I have been eliminating patterns for my next project that has buttonholes because I had no clue what they were talking about (the instructions they gave to do them). Thanks to you, I now know exactly how to do it, and I am SOOO happy! I'm so happy you posted this! I found your blog through ravelry due to somebody posting a finished project you made on their flickr account. I liked the sweater (oddly I guess I'd already seen it in Knitscene too, and I liked it then as well) a lot. Thanks for this – I saw this method on youtube through Interweaves but youTube doesn't play on my computer – I'm almost certain this post with your photos is much better anyway! Thank you for the button hole instructions, they are fantastic, it’s the picture for each stage that makes it so good, doesn’t leave any room for doubt. Trying for two days to get master this technique. With still photographs it is clear. Thanks so much for this clear explanation of how to make the one-row buttonholes. Thanks. I hadn’t used this technique before but a recent pattern required it. The instructions were so confusing, I decided to search online. These instructions are suburb, definitely keepers! Thanks. Well done tutorial; I have worked this before, but don’t yet have it memorized, so this is a nice go-to resource. So much easier than digging in my paper file! 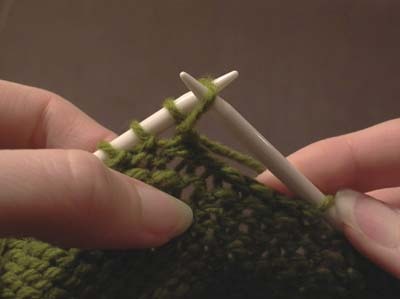 Thank you – I’m a seasoned knitter but for whatever reason, I got stumped! This buttonhole is on ysolda’s peaks island hood – and looks beautiful – I was just pulling too tight on the cast ons and came up with a teeny tiny whole … Thank you! 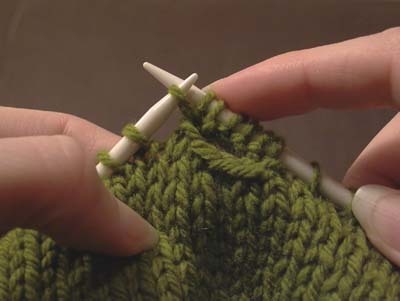 When doing this in 1×1 rib, is there a preference where to start: on the k st or the p stitch? It can start with either. In fact, if your buttonhole is an odd number, you will be switching between starting with a k or p.